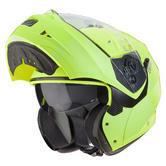 The Caberg Tourmax Motorcycle Helmet is a fantastic new addition to the Caberg range of motorbike helmets. 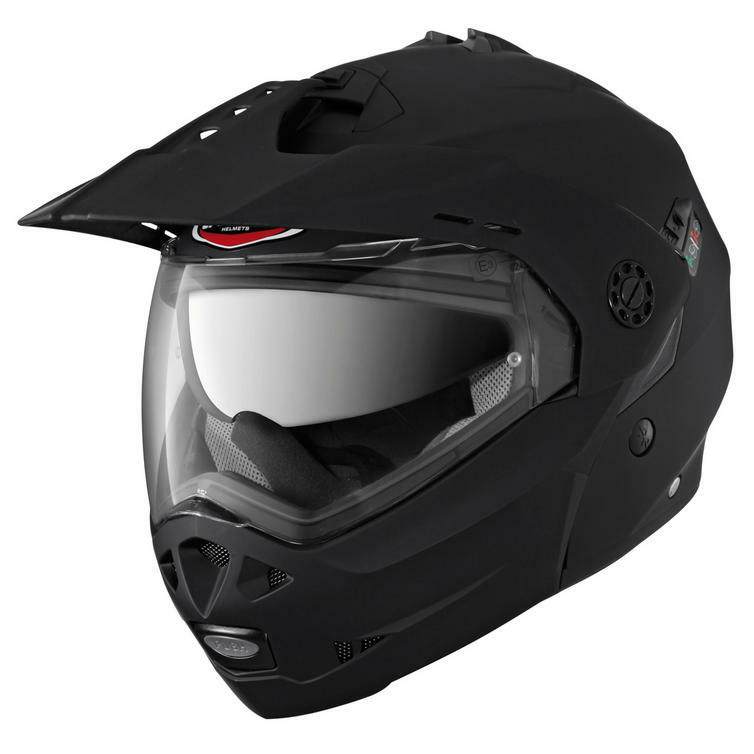 The first flip front dual sport helmet on the market makeS this helmet a truly unique and revolutionary game changer for Enduro and Maxi Enduro motorcycle owners. 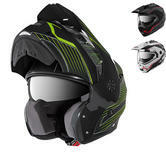 Packed with all of the benefits of a flip front helmet whilst retaining the stylish adventurous look of a Dual Sport. 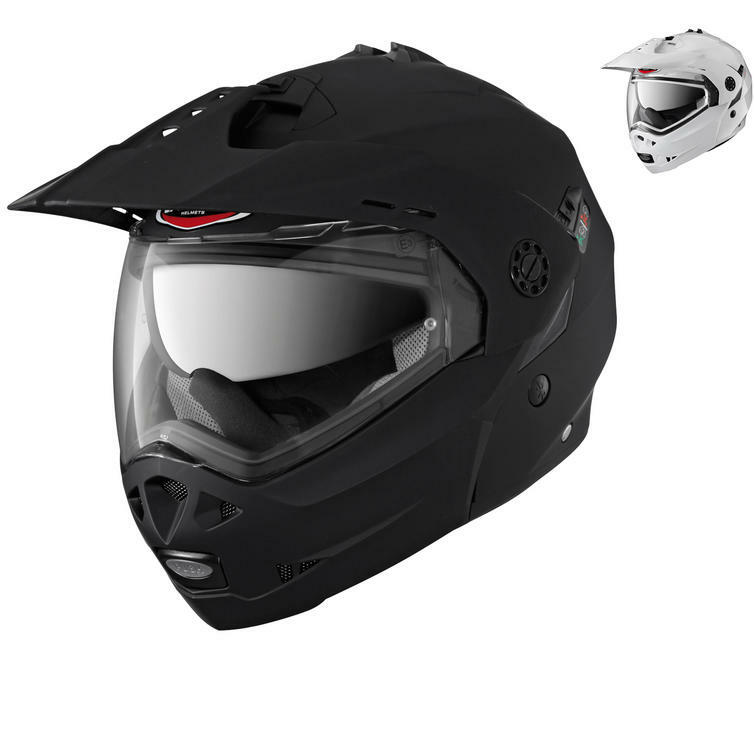 The Feature that truly sets this helmet apart is the dual homologation which means that you can ride with the guard in the up position. By using a lever on the helmet it locks the chin in position ensuring it does not accidentally close whilst riding. Why not get down to Ghostbikes and grabs yours while stock lasts! 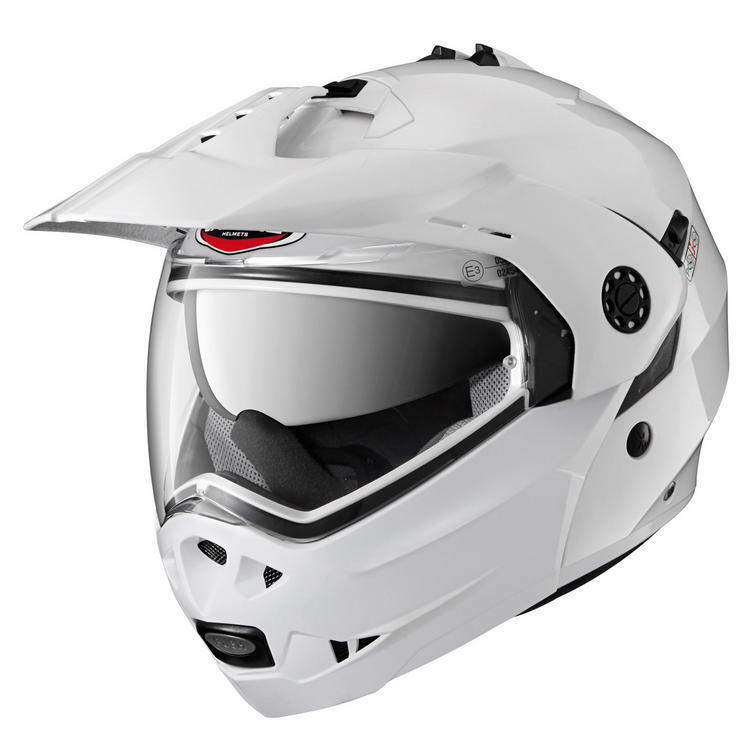 GhostBikes now stock a full range of Caberg Motorcycle helmets. Please click here to see what's currently available. Double Visor System - The internal sun visor allows you to ride keeping the suns glare out of your eyes and the outer visor is treated with anti-scratch and anti-fog ensuring your visor stays clear when on the road. 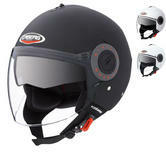 Pinlock Ready Visor - You can purchase seperately the Pinlock anti-visor, simply the best visor anti-fog system. Micrometric Buckle - Easy to use chin strap with a quick release system, allowing you to adjust the helmets fit perfectly for you. The Caberg Tourmax Flip Front Crash Helmet are currently available in the colours shown in the product variation above, if there is no variation option, they will be available in the colours as shown in the pictures above. 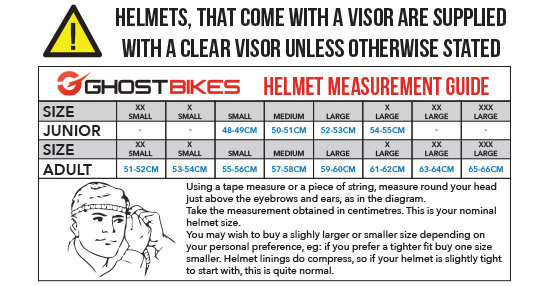 The Caberg Tourmax Motorcycle Helmet is available in various sizes, please use the guide below to help determine your correct size preference.